Lasers are the future of war. And if this new video by defense company Lockheed Martin is any indication, that future is pretty damn close. 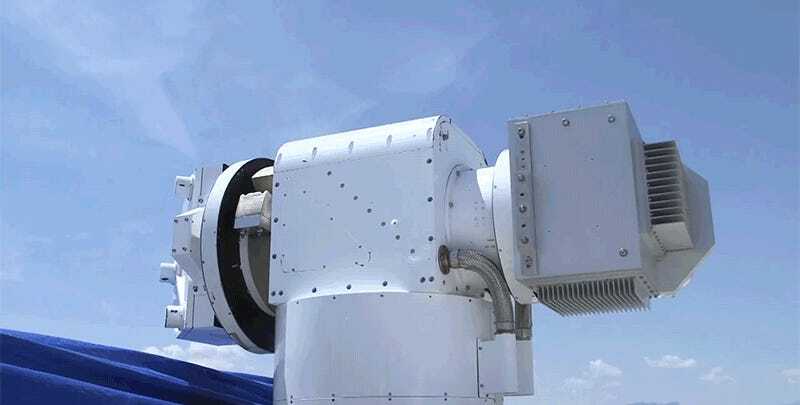 Lockheed released a video showing off its latest tests of the 30-kilowatt class ATHENA (Advanced Test High Energy Asset) laser weapons system at the White Sands Missile Range in New Mexico from last month. The ground-based ATHENA system is still considered a protoype and is powered by a Rolls-Royce turbo generator. The tests were conducted by Lockheed in conjunction with the US Army’s Space and Missile Defense Command and destroyed five Outlaw drones. The drones have a 10.8-foot wingspan and the laser destroys them by using its own fuel source against them. “The tests at White Sands against aerial targets validated our lethality models and replicated the results we’ve seen against static targets at our own test range,” said Keoki Jackson, Lockheed Martin’s Chief Technology Officer in a statement. “As we mature the technology behind laser weapon systems, we’re making the entire system more effective and moving closer to a laser weapon that will provide greater protection to our warfighters by taking on more sophisticated threats from a longer range,” Jackson continued. So why lasers and not just bombs and bullets? One reason is that lasers give the military an ability to cause chaos and confusion without giving away a position. “There’s a lot of mission space where the covert capability of the laser is also beneficial, because you can cause an effect without their being any visible sign of what caused that effect,” said Dr. Karl Scheibner in a video from last year. Notably, the video shows a laser taking out a car’s engine. The video from just last month looks remarkably similar to some of the earliest tests of directed energy weapons. 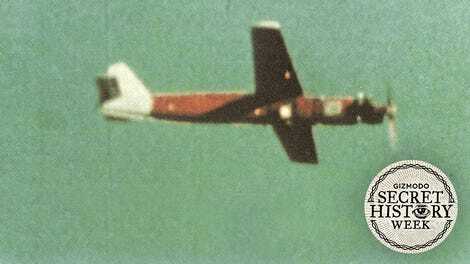 The first successful laser weapon to shoot down a drone actually occurred all the way back in 1973. So, yes, the US military has been waiting on the future of laser weapons for some time now.